Our two Andrews, Andrew Dow and Andrew Wands, are both celebrating promotions this month. Andrew Dow takes on the role of Senior Consultant, following two and a half years as part of the Escape team. Based in our East Kilbride office, Andrew has gained a reputation for delivering a high quality service to his clients and candidates; his professional approach and determination to succeed is well respected by his colleagues and our management team. His colleague and Advanced Technologies specialist, Andrew Wands, joined Escape in 2016 and has successfully completed his Escape traineeship this month. Andrew has worked hard, developing his knowledge and skills within his specialism and delivering effective recruitment solutions for his clients, something recognised by the rest of his team and the wider company. Lauren Daly, specialist in Supply Chain recruitment also has reason to celebrate; she has successfully completed a number of assessments and passed her final exam, obtaining the Level 3 Certificate in Recruitment Practice (CertRP). Developed by the Institute of Recruitment Professionals (IRP), part of the Recruitment & Employment Confederation (REC) to ensure that individual recruiters are “recognised as a professional who upholds world-class recruitment standards”, the qualification covers a number of units including, legal and ethical requirements, principles of assessing people and relationship management. 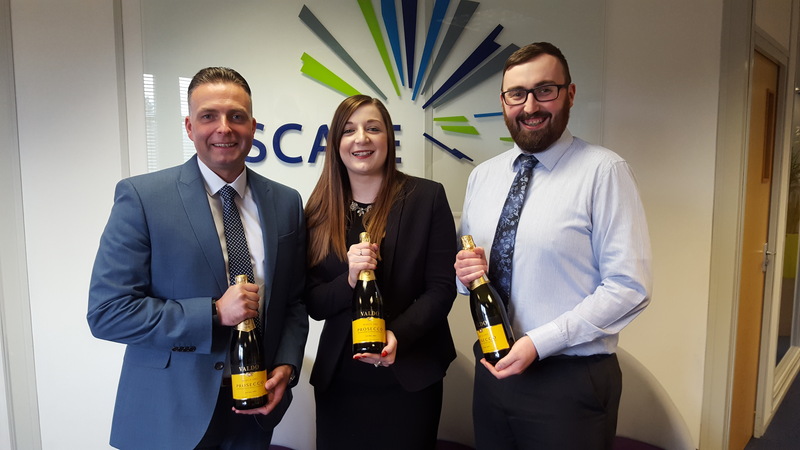 We are delighted for their success and look forward to all three playing a pivotal part in the ongoing growth and success of Escape for many years to come.